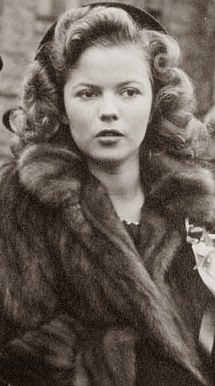 With the passing of Shirley Temple Black just yesterday, it made realize that sometimes we do not appreciate people as much until they are gone, which is unfortunate. Now I want to go back and see some of her performances because the only one I have seen in its entirety is probably Heidi. Recently however I did see part of the Bachelor and the Bobby-Soxer and I realized why she was so popular. She was a good little entertainer to be sure, but at her core was this cheerfulness and sweet disposition that resonated with audiences. I hope to discover more of that soon. This entry was posted in R.I.P. by 4StarFilmFan. Bookmark the permalink.